Spring soccer is in full swing, tryouts are right around the corner, and the fall season will be here before we know it! Are you at the top of your game? 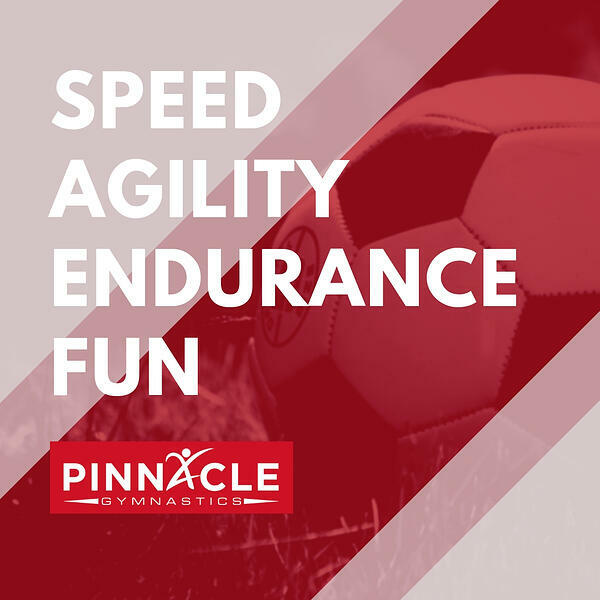 Join us at Pinnacle to focus on running form, increase agility, and prepare for soccer - spring, tryouts, or fall - whichever stage you are in. Summer Soccer Conditioning Camps will consist of a variety of different drills and exercises that increasing their physical strength and fitness while also improving their team building skills. 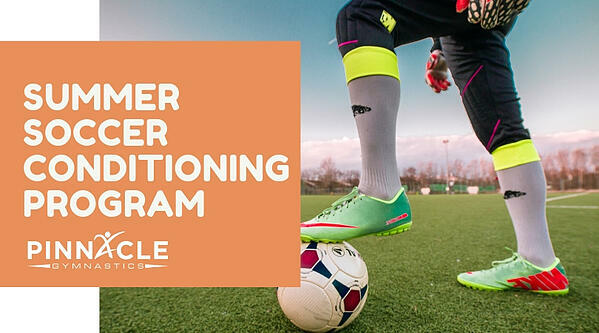 What is Summer Soccer Conditioning? Soccer conditioning at Pinnacle will provide direct instruction and personalized training for fitness endurance, agility, speed work, running mechanics, and coordination. Classes are led by Coach Greg who has a collegiate coaching background in track and field/strength and conditioning. In addition, Coach Greg has playing experience at the collegiate level in soccer at Baker University. Conditioning will create a strong base of fitness for the upcoming season and put the athlete in the best position to perform well on the field. Games include 3v3 keep away, tic-tac-toe sprints, circle pressure drills, and more! Each day will finish with a group drill in varying field sizes. Some games will focus on mental attributes as well such as team building. Being a good teammate is extremely important in soccer to be successful as a player and as a team. Soccer is a very unique sport with its combination of long periods of physical endurance while also needing the strength and short bursts of speed while changing directions. Due to the pace and nature of the game, athletes have to be able to perform at varying levels of intensity for long bouts through a variety of attributes to be successful. Conditioning camp will involve games and competitions. During conditioning, athletes will participate in game like situations to work on staying strong and fit throughout a match and mentally strong. Drills and games will consist of some activities that use a soccer ball and others that don't. Conditioning at Pinnacle will prepare athletes to excel in these different attributes through drills, exercises, and games to get the body and mind ready for competition. Join us to get ready for the upcoming season! Give yourself the extra edge you need to perform at the highest level! Looking for a Different Summer Camp Option? Pinnacle offers a wide variety of summer camps for children of all ages (3 and up). Our day camps, enrichment camps, and stay through options are sure to provide the perfect indoor summer activity for your active child.